This is the time to "get off the fence" and realize that home ownership is historically a good investment and increases wealth, which renting does not provide. Homeowners have more home equity and loan options than they realize and that they can sell and move on or buy another home. Many renters can buy. Most homeowners, renters, and buyers, don't understand the process due to myths regarding mortgages and the Southwest Florida housing market, resulting in their delay in in utilizing home equity or attaining it. Their dreams are on hold. Home prices are rising while inventory of available homes for sale is decreasing. This is a basic principle of economics: the law of supply and demand. Is this a precursor of another housing bubble? Most analysts don't think so this time. As a Naples resident, I experienced the the impact of the boom and the bust, as well as our recovery and growth of the housing market. Three years ago a buyer told me he did not want to buy in a "rising market" as homes were resuming a non-distressed valuation. He waited too long and today lost at least a 30% gain on the type of property he would have purchased. We are nowhere near the the peaks of homes prices before the bust in Southwest Florida, the current prices are approximately averaging those in 2005 prior to the bubble; at the level we should be with normal price appreciation. The severe stretch in distressed values was a "snap" back like a stretched rubber band after it returns to its nomal unstretched state. Mortgage payments are much lower than in 2006 and interest rates are at a historic low of under 4%. 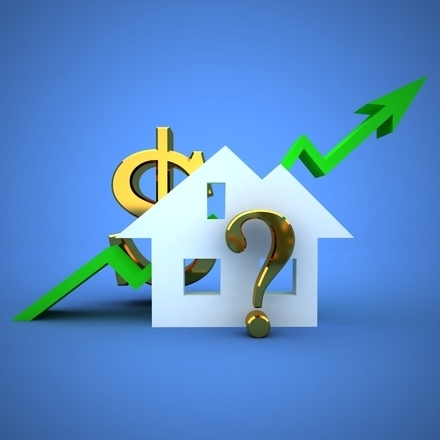 As potential sellers and buyers wait, rates may rise and will reduce their purchasing power. It WAS NOT the cause of the housing crisis. Pre- bubble years required a HIGHER down payment than today. The loss of jobs squashed income needed to pay a mortgage. New buyers were subject to unregulated practices of appraisals and mortgages, which created inflated prices and allowed unqualified buyers to enter the arena.As a result, standards for appraisals and mortgage qualifications have tightened under federal regulation. Down payments are now as low as 3%. That is was and will not be a cause of another bubble! The job market is strong with low unemployment and economic growth in Southwest Florida.. The housing and job markets support each other with increased population and need for goods and services. Mortgages are are more attainable now than in 2005, they do not require 20% down. Was home purchased in 2012 worth it today? Yes. The U.S. median home prices have appreciated 17.3% from 2012-2014. Wages grew ONLY 1.3%. Aggregate home equity (taking inflation into account) was was 8% in 2014. From 2010-2015 it increased 60%. While sellers, renters, and buyers wait, mortgage rates are predicted to rise which will impact the income needed to qualify. The rate of income increase is still below home appreciation. Most believe that they cannot afford a down payment or qualify for a mortgage, because of lack of understanding of required credit scores, loan qualifications, and down payment options. The home selling or buying process is misunderstood as to the real return on a home investment. This misunderstanding is a contributory factor in the tightened inventory of homes for sale in Southwest Florida. Renters have not increased net wealth over the past five years. They pay the landlord's mortgage and expenses with some added profit to boot. Real knowledge of real estate and how it can enable one to move on with their life is critical for all potential sellers, buyers, and renters to understand. That is what I do as a professional by providing a tailored plan for you utilizing real estate as a vehicle to move you forward. It's time to "get off the fence."